Mike Sutherland has served as the Director of Public Works for nine years and EOC Director for nearly four years. His department oversight includes seven divisions led by three section managers with fifty members on staff. Working with police staff he helped build a Parker Incident Overhead Team (IOT) of forty nine individuals from six different departments. Other opportunities for challenge include serving on the Douglas County Incident Management Team in the positions of Incident Commander and Plans Section Chief as well as Terrorism Liaison Officer for Colorado Information Analysis Center, the state fusion center. Mike is also a trainer for the CELL (Counterterrorism Education Learning Lab) Community Awareness Program on “recognizing the signs of terrorism”. Prior to joining the first responder ranks in public works, Sutherland served as chief executive in a private firm specializing in aviation facility development and security, along with service as president of a non-profit organization that hosted and managed jet team air shows. 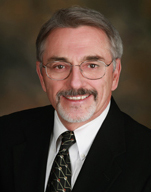 During this period of his career Mike also served on the Board of Commissioners of a regional airport, and as City Council member for Grand Junction, Colorado. In the late 80s to mid-90s Sutherland held airport executive positions as Operations Manager, Deputy Director of Planning & Operations and Acting Airport Manager with a sidebar of flying as a search pilot for Civil Air Patrol around the mountains of Colorado. He has flown hang gliders, helicopters, gliders and motorized aircraft, and has recently begun flying unmanned aerial vehicles (drones).